Diane L Nieman is an avid outdoorswoman who loves staying active and participating in a number of outdoor activities. With a great passion for the outdoors and nature, Diane is also a strong supporter of animal rights, following along with many of the ideals and principles from the World Wildlife Fund. Above all, Diane Nieman is passionate about skiing and snowboarding. Diane has been snowboarding for most of her life and for the past 20 years she has been participating in races run by Nastar racing program. Diane enjoys skiing for the competitive atmosphere as well as to simply have fun with friends and family. She often visits Mt. Holly Ski Area nearby her home but is also interested in traveling all around the world to explore other major ski and snowboard resorts to see what else is out there. 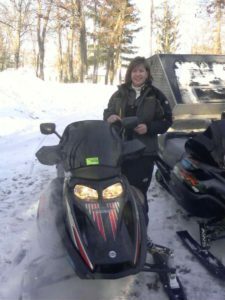 During the winter months when Diane is taking a break from skiing and snowboarding on the slopes, she enjoys going snowmobiling with friends and family. Once the weather starts getting warmer, Diane L Nieman enjoys a variety of other outdoor activities including riding motorcycles, mountain biking, hiking, golfing, wakeboarding, and more. While growing up, Diane L Nieman became interested in motocross and has been hooked ever since. She likes to watch the professionals on TV and will often go out on her own to ride through trails and feel the rush and exhilarating experience of riding of motorcycle. At the start of the spring and fall, Diane Nieman always makes a point to plan a hiking and mountain biking trip. She loves walking and riding up the trails, eventually reaching the top of the mountain to experience breathtaking views and a great feeling of accomplishment. In between, during the summer months, Diane spends a lot of her time out by the water kayaking, boating, or even wakeboarding. 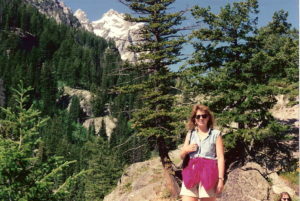 Diane L Nieman has a competitive spirit and a strong sense of adventure. She is eager to continue exploring the world and gaining new and exciting experiences.